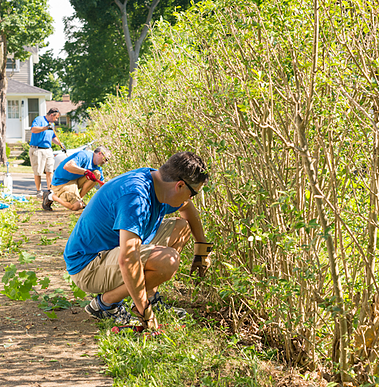 Last month, BlueGranite encouraged team members to spend a work day volunteering for a local nonprofit organization of their choice. The work was rewarding and gave everyone a chance to give back to the communities that they care about. Here’s a quick summary of some of the organizations we worked with and how we were able to lend a hand. 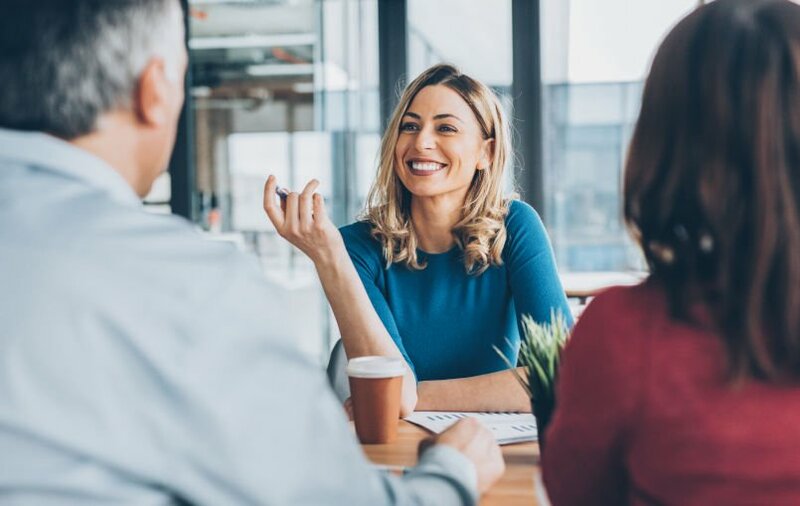 Although most BlueGranite employees work remotely, there were lots of opportunities to get together in groups and make a difference across the country. 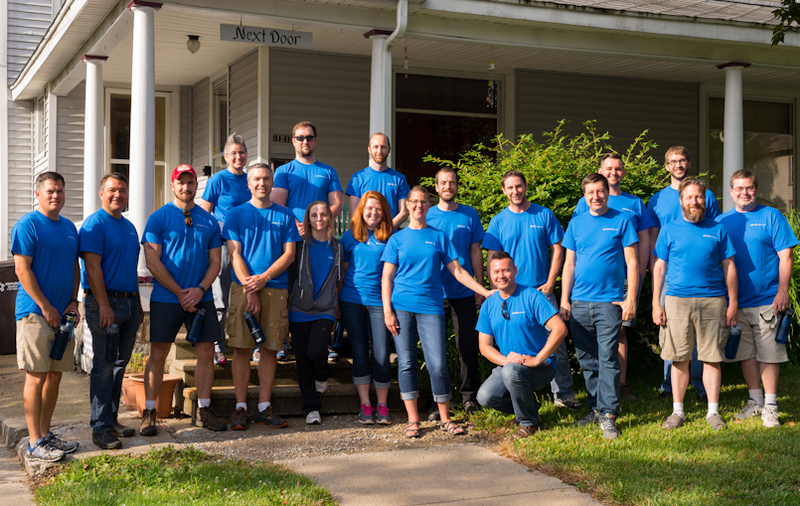 In Kalamazoo, Mich., we had almost half of our team (myself included) come together to help a local nonprofit called Open Doors. Open Doors' almost 50-year mission is to provide a safe haven for those with little to no income, help area individuals and families find sustainable work, and to build and maintain realistic budgets, to ultimately prevent homelessness. Additionally, by offering a Residence Community with affordable housing and support, as well as area shelters, Open Doors helps people remove themselves from difficult situations to get back on their feet. So what did our group of volunteers manage to accomplish in a day? We spent most of our time working outside at one of the women’s shelters. 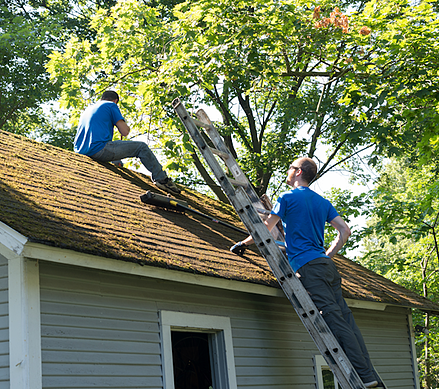 Between scraping off old paint, priming two garages, cutting back a long line of overgrown bushes, some general yard work, and washing many, many windows, we had our work cut out for us! It felt great to give back and help the small maintenance team at Open Doors get so much work accomplished in a single day. BlueGranite’s Charlotte, N.C., team chose to spend its time volunteering for the Second Harvest Food Bank of Metrolina. With a reach that spans 19 counties and includes multiple charitable agencies, the food bank annually distributes more than 50 million pounds of food in its fight against hunger. 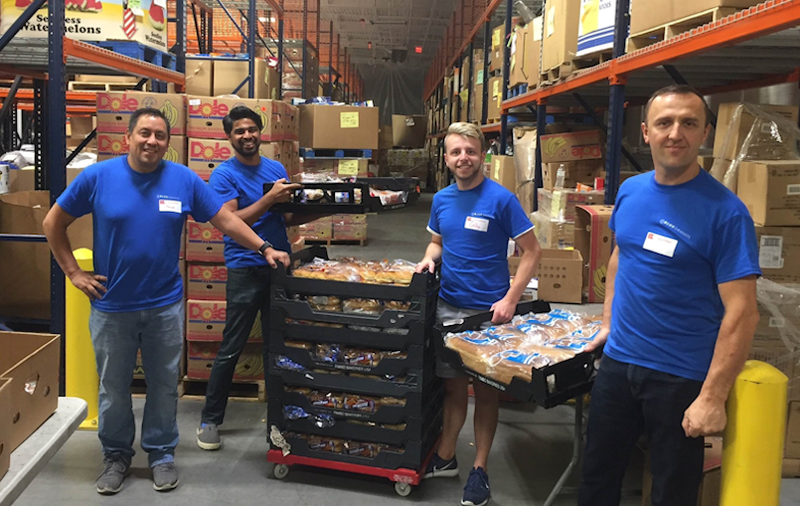 Our four Charlotte team members helped Second Harvest pack bread into boxes and prepare the loaves for shipment to local soup kitchens and shelters. 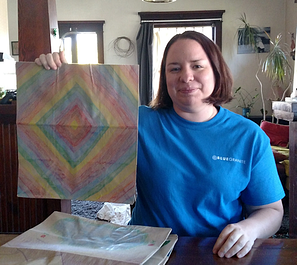 Meagan Longoria dedicated her day to the Denver-based Project Angel Heart charity. The agency's donors, sponsors and volunteers prepare and deliver custom meals at no cost to people with life-threatening illnesses, helping those who have trouble getting out of the house or are too weak to prepare food. Aside from delivering these much-needed meals, Project Angel Heart also tries to remind each meal recipient that they are cared for and appreciated with decorative and cheerful delivery bags. Meagan was able to contribute to that effort by spending her day decorating those delivery bags and getting them ready to brighten someone’s day when they need it most. 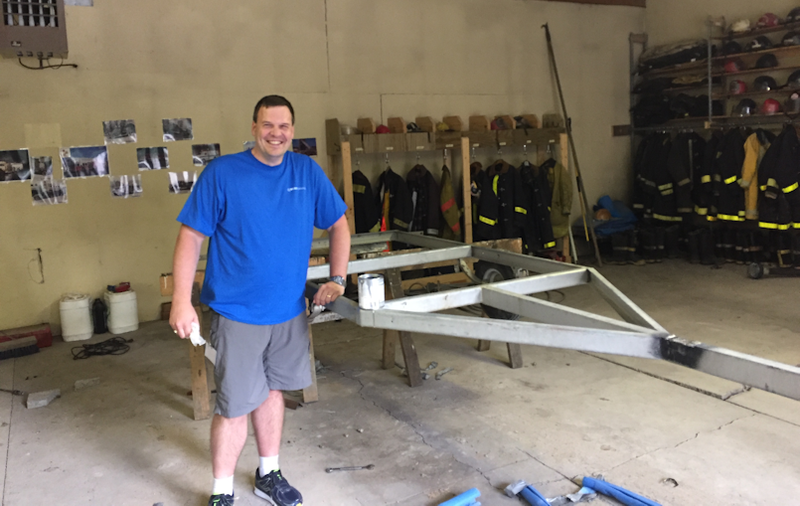 Jim Bennett spent his day of service working with Camp Barakel, a summer camp for kids located in Northern Michigan. Jim has been volunteering for the camp for many years, and was able to help the organization with quite a few tasks – some of which included painting, making changes to their firewall, working on their accounting system, and training Camp Barakel staff on how to use a CRM system that Jim helped to implement last year. A group of three near Colorado Springs, Colo., volunteered with Citizen Soldier Connection, an organization that provides friendship and support to soldiers and their families. The BlueGranite team spent its day of service helping set up and take down the gear needed for the local Colorado Springs Western Street Breakfast, a huge celebration and fundraising event intended to support local military personnel. Each year, they serve around 10,000 people breakfast! 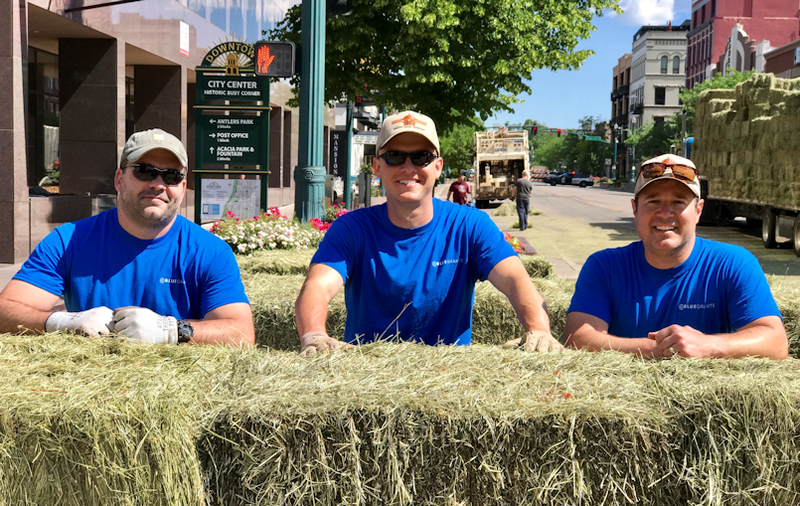 As much as they all enjoy breakfast, BlueGranite’s group of volunteers got their hands dirty instead by helping to unload hay bales, placing them in the street for breakfast attendees to sit on while they enjoy their meal. Once the breakfast concluded, the group helped to break down and load the serving tables, chairs, and the stage into trucks. They also spent a good amount of time stacking hay bales for loading, and cleaning up leftover debris on the streets and sidewalks. 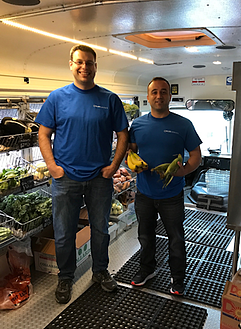 On the Northeast side of the U.S., in Boston, Marc Mingrone and TJ Polak spent their day of service volunteering for a nonprofit organization called Fresh Truck. The Fresh Truck mission is a unique solution to a lack of grocery stores and fresh food in several areas of the Boston region. The mobile grocery store brings fresh food to communities with little access to fruits and vegetables. Throughout the day, TJ and Marc helped the Fresh Truck team deliver food all over Boston to those who have difficulties finding it in their own neighborhoods. We are too! That’s why we set aside time every year in June to work with our local communities and give back. 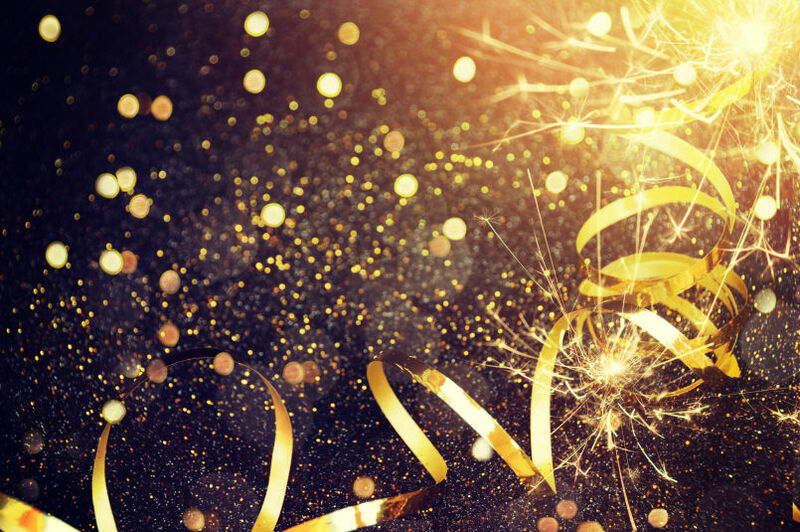 We’re looking forward to next year already! If you want to volunteer for an organization in your community, try checking out VolunteerMatch to find nonprofits in your area that could use a lending hand. Angela is the Inbound Marketing Coordinator at BlueGranite. She is responsible for managing event coordination, marketing campaigns, social media pages, optimizing marketing automation, and more. 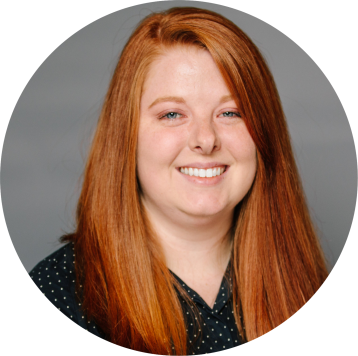 Prior to BlueGranite, Angela held a marketing role with a CRM firm and obtained a BBA in Sales & Business Marketing from Western Michigan University. 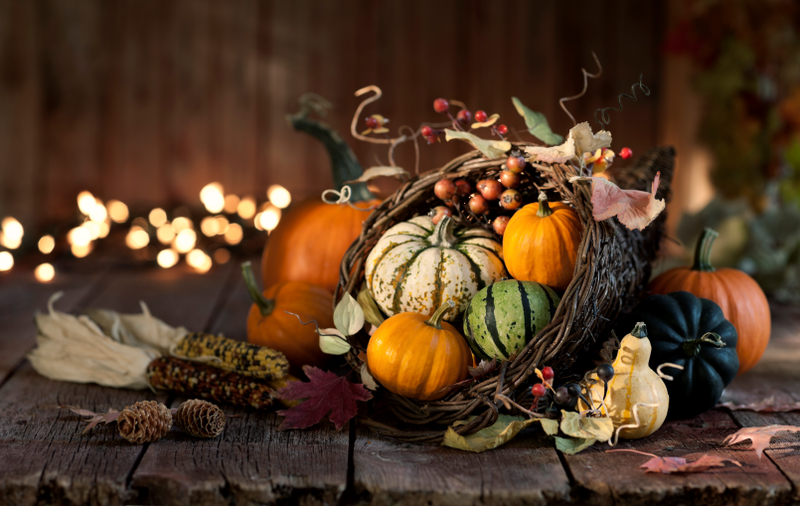 In her free time, Angela serves as a board member for her local chapter of the American Marketing Association.